A lot of us use our smartphone cameras to click photos and capture videos on numerous occasions. In reality, that’s a lot of raw footage we end up gathering using our devices. They may work for capturing a moment, but to make them stand out, you’ll need to do some editing. And that’s where everyone sees the need for professional help. The best part is you don’t need to be a tech genius to add some text and effects to your photos to make them stand out. 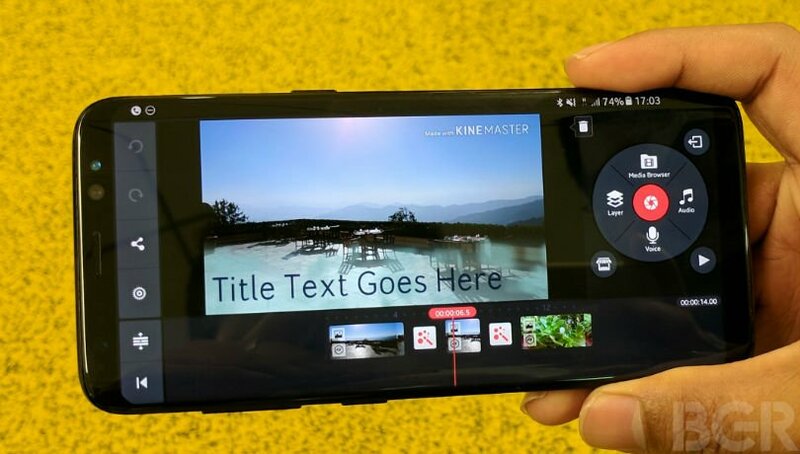 You don’t even need a full-fledged video editing app, as even the basic one can do the trick for you. For those using Android smartphones, it is as simple as installing an app. 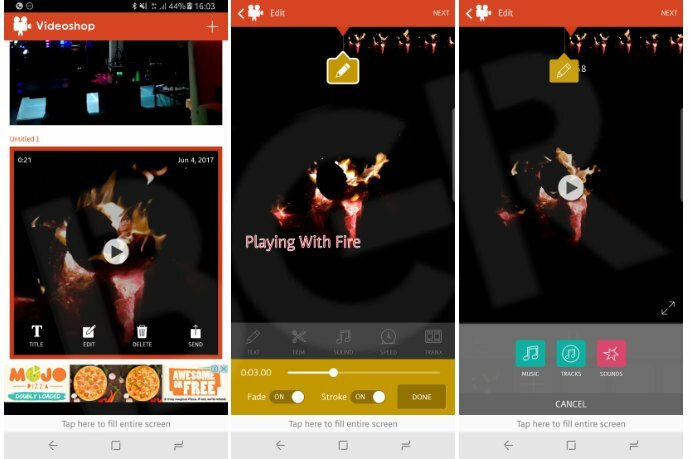 All you need to do is – pick a video from your library, add texts, background music, stickers and effects. With all these added effects, you can easily make those dull and boring videos interesting. You can use apps such as VideoShop, VivaVideo, FilmoraGo and KineMaster among others to add effects to your videos. For this demonstration, we used VideoShop, which is a free app. To begin with, open the app, choose the video and tap on edit. On the first screen, you can add text overlay and background music, and then tap on next on the top right. The next screen will allow you to add live filters to the video. Just besides that you have the option to add themes, and an option to add title, author, place and date on the top. 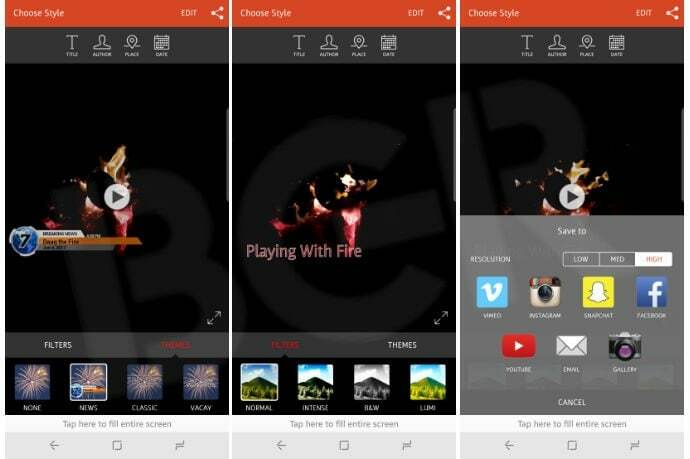 Once you’ve done adding the effects, tap on the share icon on the top right, select the resolution and tap on gallery, after which the video will be saved in the gallery. Now, while the VideoShop lets you add basic effects, KineMaster lets you do a lot more with the videos. Again, the procedure is simple – open the app, tap on new project and select the video. Next, choose the theme from the available ones, add text and audio and tap on next. You’ll see a small preview of the video on the top left half of the screen, whereas the top left has options to add media, effects, text and overlays, and more. The basic ones are available for free, but you can also make an in-app purchase to add more effect. Once the rendering is done, you can save the video and share on social media or with your family and friends. As this is a free apps, there’s a small catch here. The final video has KineMaster watermark, and to remove it, you’ll have to buy the premium version.